To say I am a tea lover, wouldn’t even grasp how much I truly love tea… I’m obsessed. Whether it’s the sweetest of the sweet tea or my nightly chamomile dose, I keep plenty of tea in the house. Although I do love my beauty products, when I decided to be a stay at home mother, we took a major hit. The first thing to go on our shopping list…my expensive beauty options. However and luckily, I have always dabbled in home remedies and prefer more natural products. So instead of opting for my usual Lush extravaganza shopping sprees, I started to take on more home recipes myself and will be trying out a lot more for us to see what really works!!! 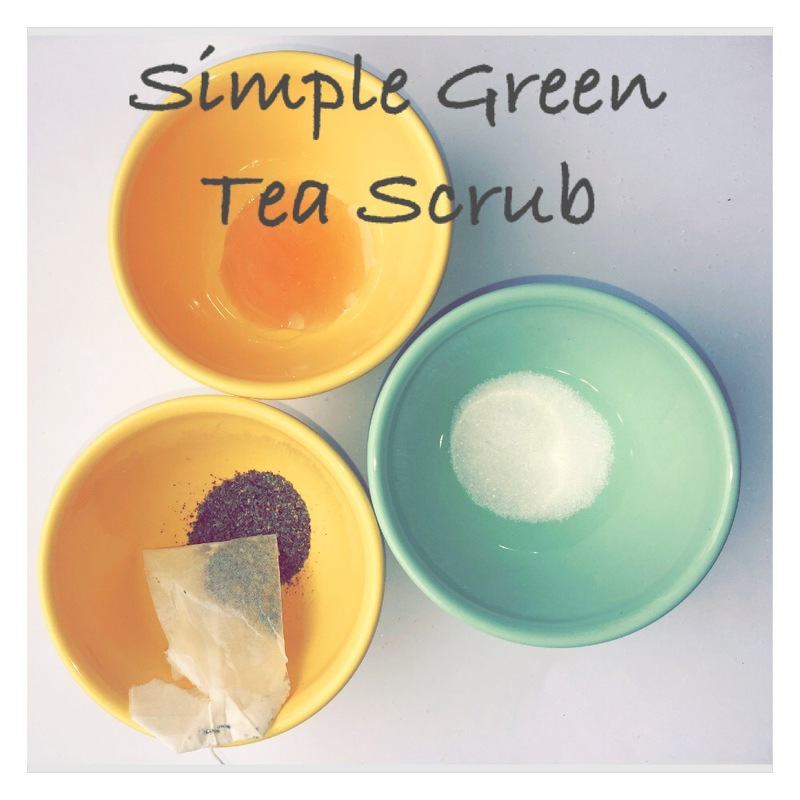 This is a simple facial scrub I have always loved. I drink decaf green tea with honey almost daily and even if you do not, this still works wonders on skin…especially when your preggers and trying anything and everything to keep the raging hormones from ruining your skin…but also trying to stay away from harmful products for the little baby bean in your belly..but anywho.. Step 1: Prepare the tea..I prefer to prepare my tea just like I would to drink it..cause I’m gonna..But clearly..you don’t have to drink it, but you do want the tea leaves to be nice and warm.. Step 2: I add about a tablespoon of honey to a bowl.. Then I just throw in about a tablespoon of sugar (usually raw but good ole sugar will do).. Step 3: Tear open the tea bag and add contents on top of the honey and sugar mixture..and viola! A very simple home remedy….I usually cleanse my skin a little before I do this and let the scrub settle like a mask for a bit. The green tea is full of antioxidants and anti inflammatories making it amazing for your skin… The sugar will act as an exfoliating property… The honey is a natural antibacterial and also, is known to fight aging while moisturizing skin. This recipe requires so little but packs a lot. **Helpful tip.. Try using as a lip scrub or even on problem areas like bumpy arms. Also, things can be added like coffee grounds to tighten skin or lemon juice to help fight breakouts.